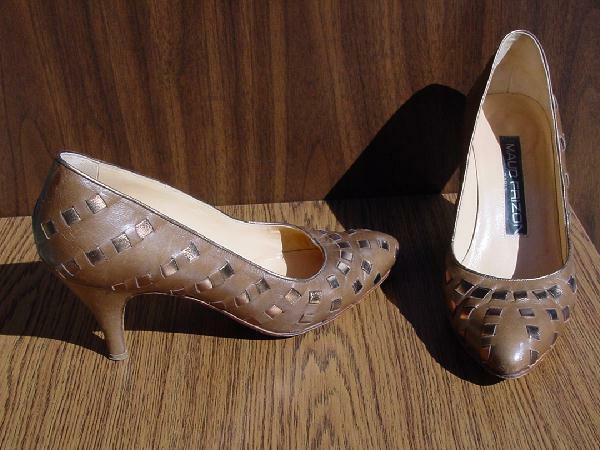 These light milk chocolate leather pointed toe pumps have an interior in tan and an exterior that is very soft. There are fabric accents in bright coppery leather squares diagonally woven over each entire pump (except the heels). There is a scuff mark by the toe of the left shoe. They are a striking looking pump. They belonged to a French model who wore them with the copper wraparound belt to the Cannes Film Festival.